Parking Violation - 2 Part Carbonless Manila Tag with Perforation Stub and Adhesive Strips, 4.25'' x 9.25'', Consec. Numbered - 50 / Pack (No. 2151-2200) by Linco at LDP Graphic Design. MPN: PK002MN.2151-50. Hurry! Limited time offer. Offer valid only while supplies last. 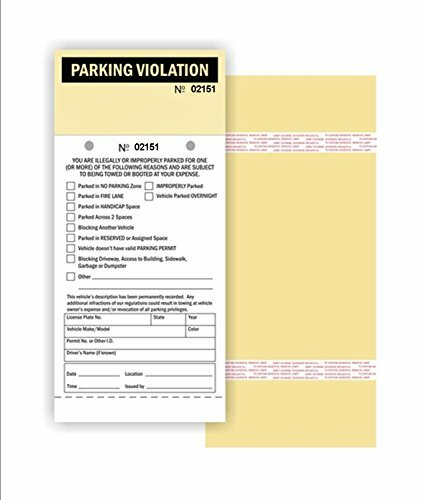 PARKING VIOLATION - 2 Part Carbonless Manila Tag with Perforation Stub and Adhesive Strips, 4.25'' x 9.25'', Consec. Numbered - 50 / Pack (No.